< I think it is already clear by now that I'm addicted to nail stamping. 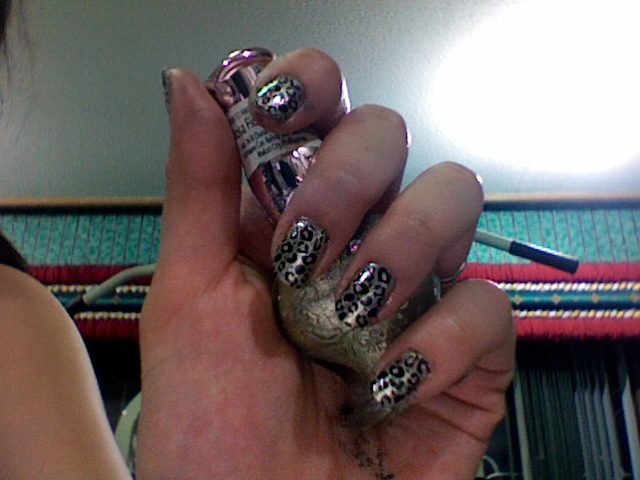 And that I love leopard nails. The base I used is Etude House's lovely golden nail polish, topped off with the usual Konad nail polish for the stamping art.